One has to have lot of patience...as I always say, "Shraddha and Saburi" you need to make this. 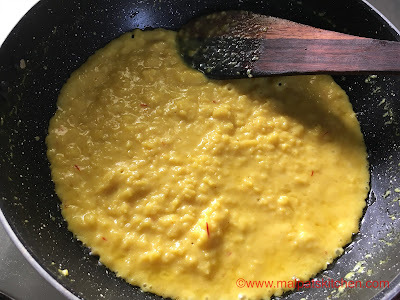 But it is a worthy dish, every minute of your effort is paid well for. This is a real delicacy, can be stored in the fridge for 2 weeks, minimum. 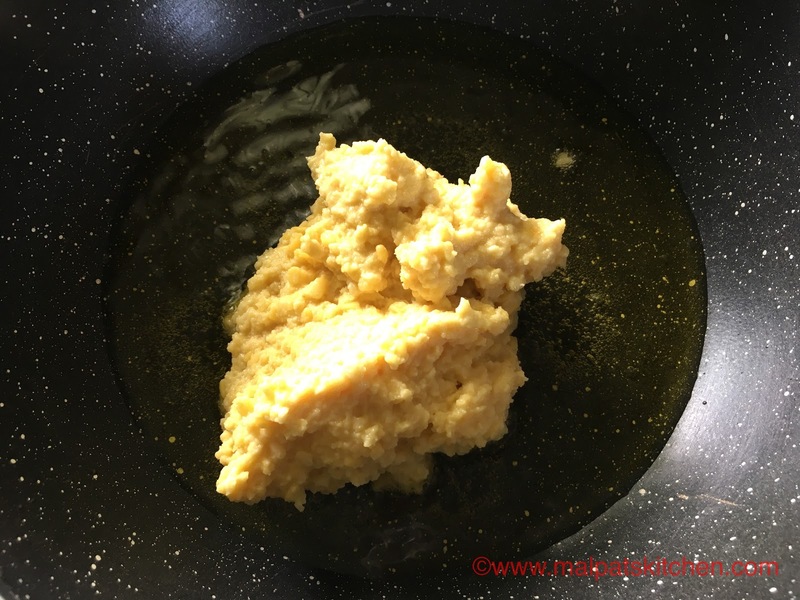 Ground to a coarse paste, without adding any water. 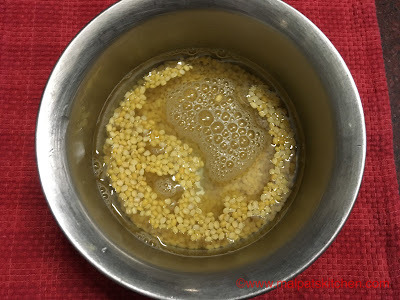 Then add the milk and water, measured and kept. There might be small lumps, while stirring, keep on mashing them. 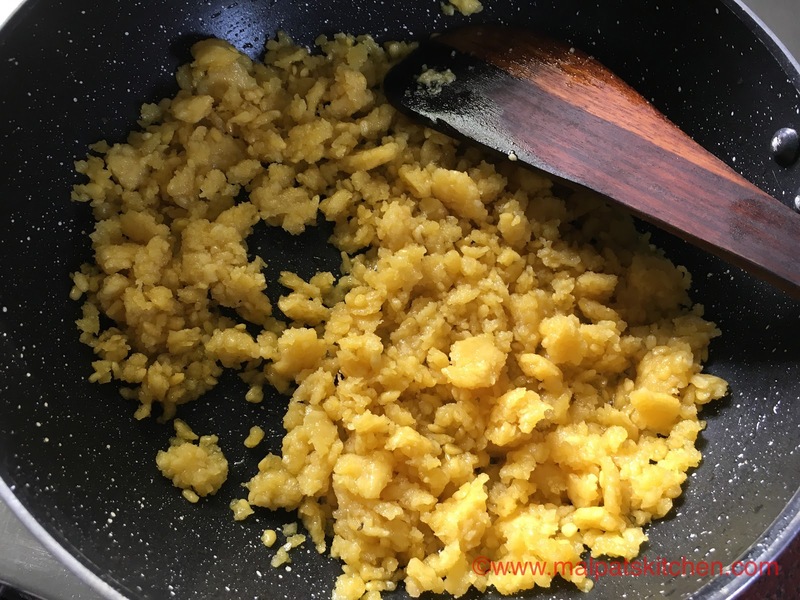 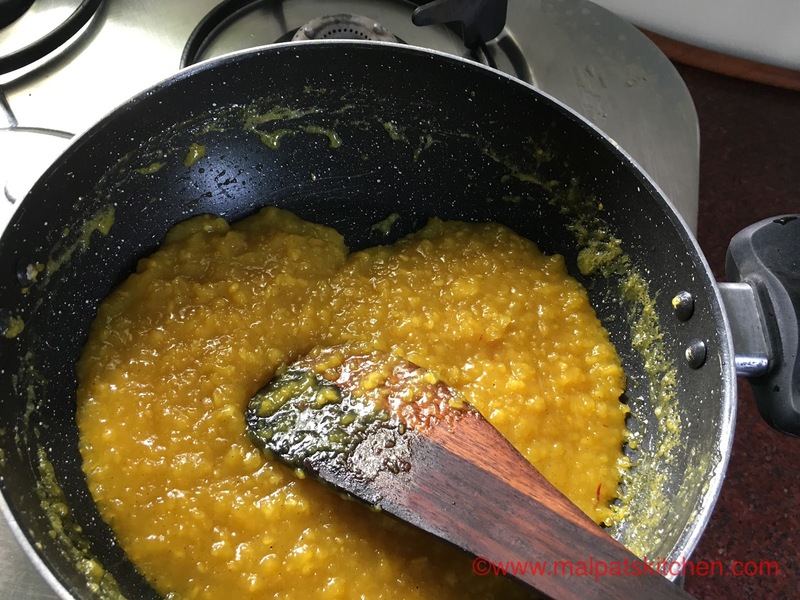 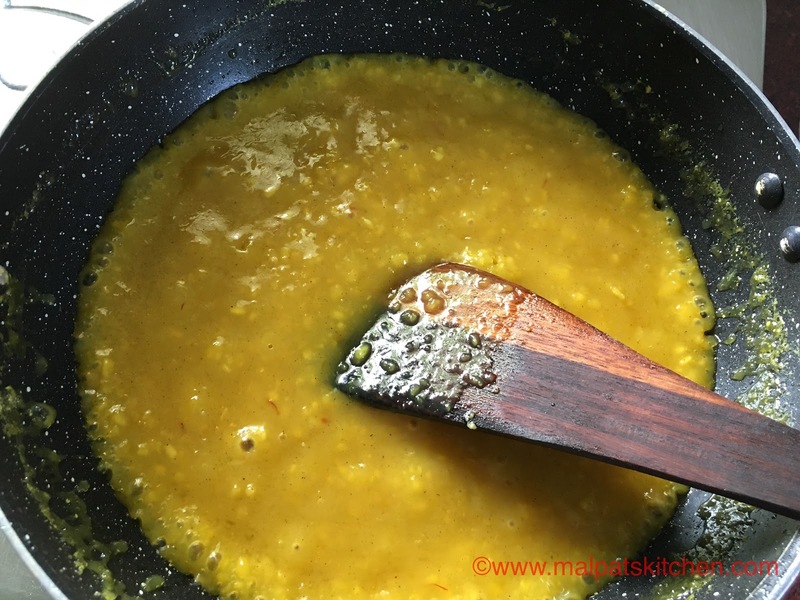 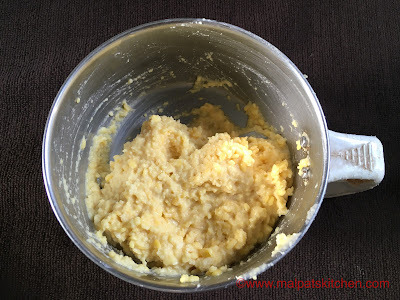 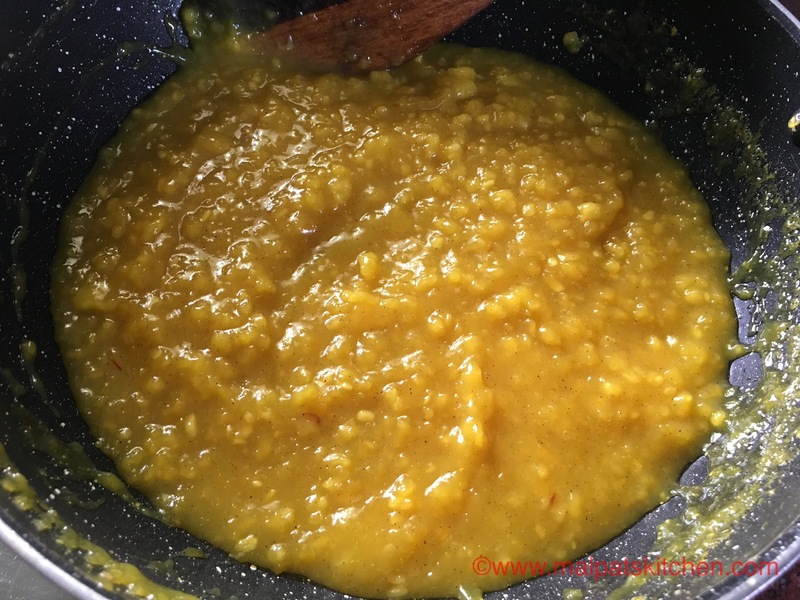 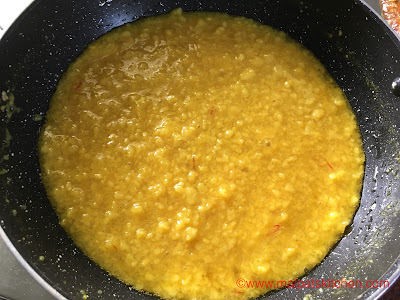 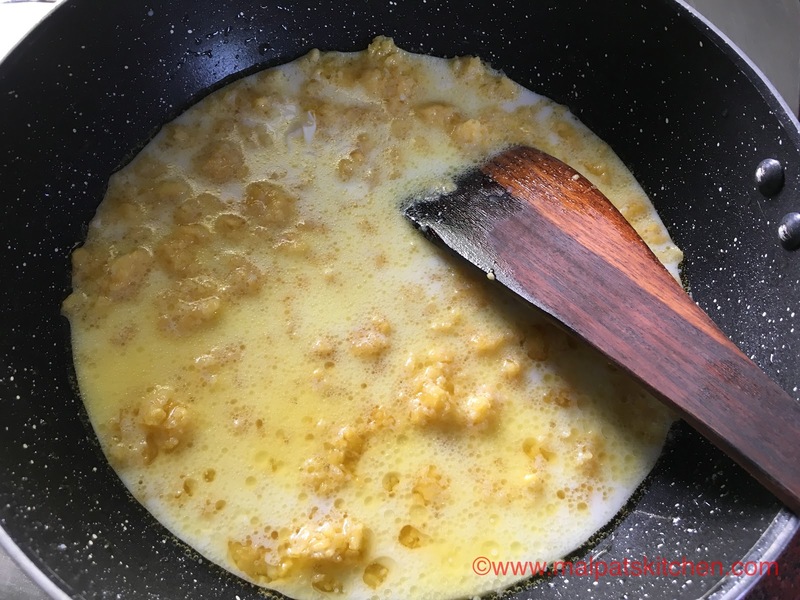 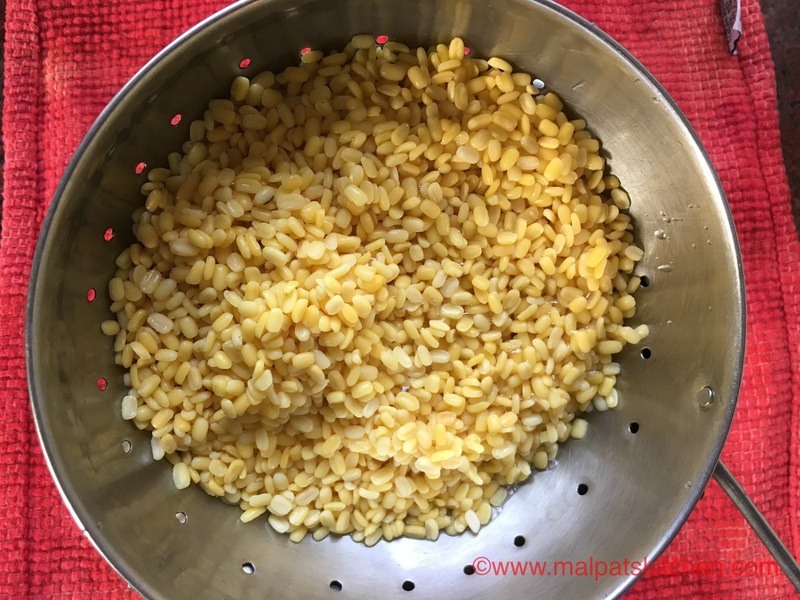 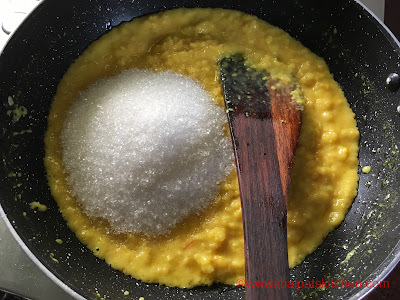 In nearly about 20-25 minutes, the mixture will thicken like this, by then milk and water would have reduced, and the ground moong dhal will get cooked well too. Halwa will once again become a bit watery. 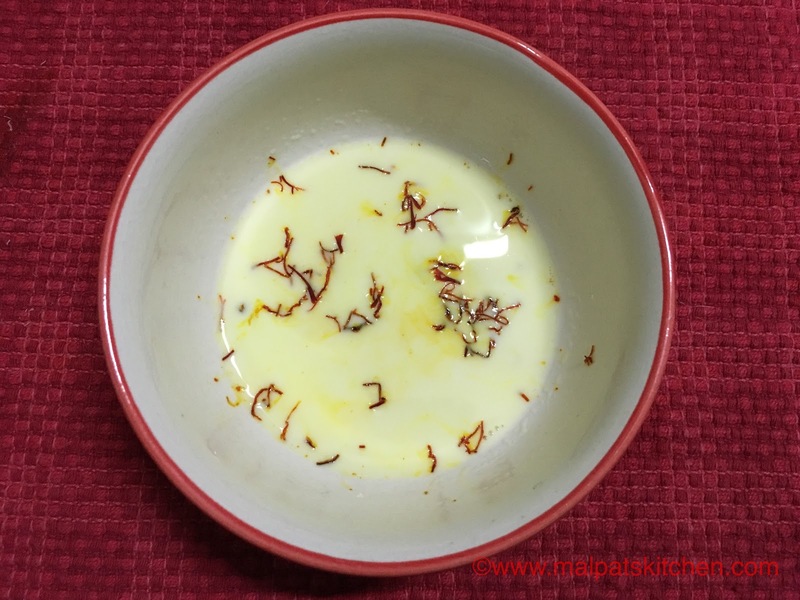 Decorate and garnish with almond slivers and saffron strands. 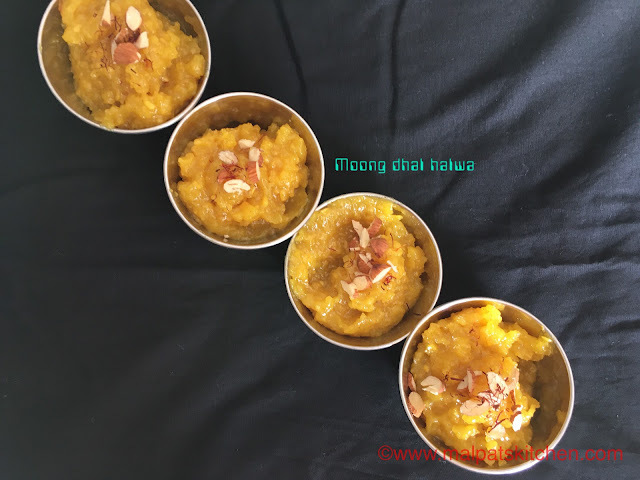 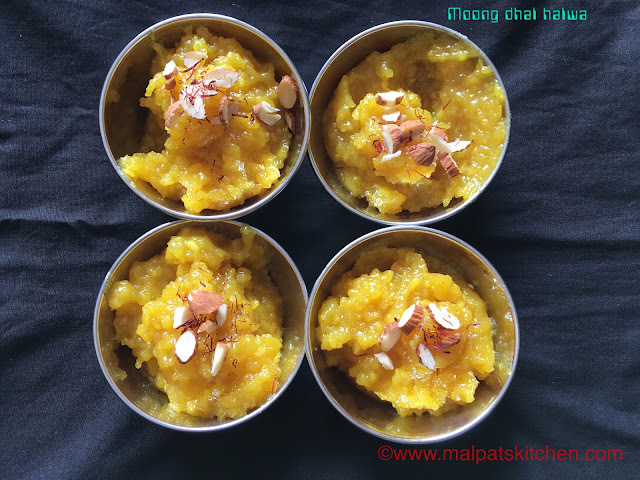 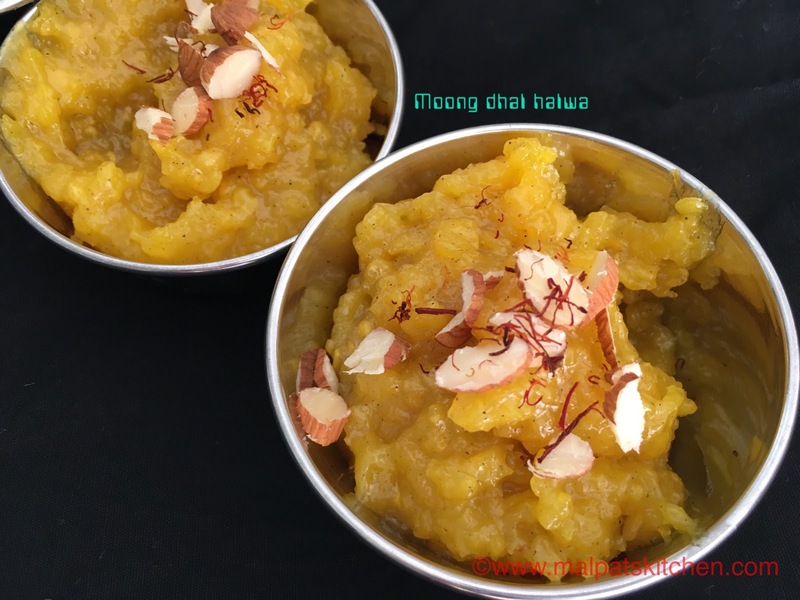 This halwa can be eaten hot or cold. 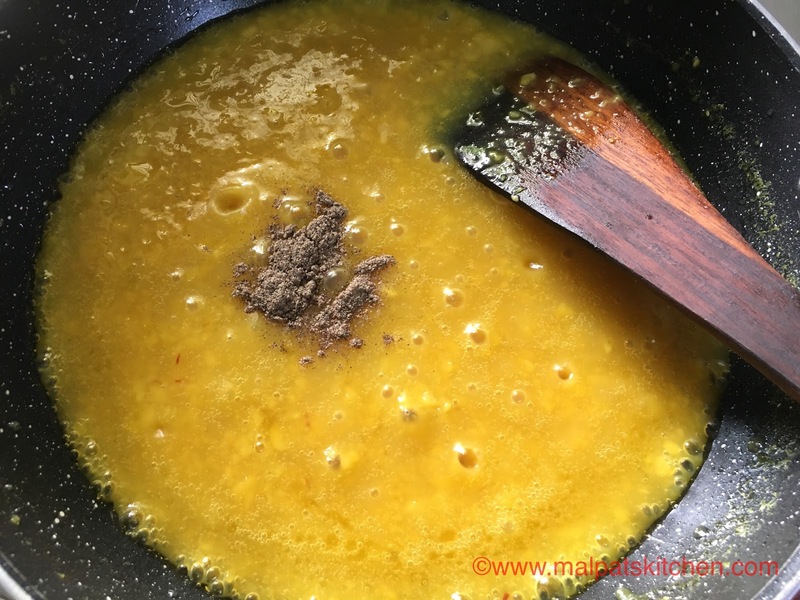 Both ways, the taste is awesome.